We are looking for SUPER MACRO PHOTOGRAPHY! Welcome to Super Macro Photography where we accept photography taken with a macro lens or in macro mode. Macro mode is a setting on a digital camera that enables users to focus on subjects close to the camera lens. Macro mode is commonly used in photographing flowers, insects and other small items that you want a close-up view of. The distance you can shoot in macro mode from will differ between cameras. Some may be able to focus when the lens is less than an inch away from the subject, while others may be an inch or further. Please do not mistake using zoom mode to get a close up of an animal with macro mode. - Make sure your artwork has excellent focus, clarity and composition. 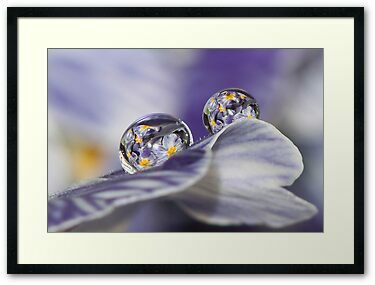 - Make sure your artwork was taken with a macro lens or in macro mode. - Make sure you mention either in the title or description what macro lens or mode you used. - We are a family oriented group do not submit any images that would not be rated “G” general audience at a movie theater. If you feel your work matches our groups requirements and want to join the group, please B-mail the host. No pillows, bags, etc. Images not presented in the default mode will be rejected. The main reason an image gets rejected is that it is not a true macro and/or you did not mention what lens or mode you used. Joining and or being an active member of this group means we have your permission to use your art as an avatar for Challenges, in our Permanent Features Gallery, our HOP (Host’s Outstanding Picks) Forum, our Homepage and our Permanent Winners Gallery.